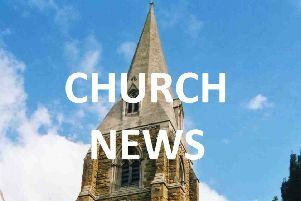 The funeral service for Marjorie Ann Bett, aged 81 years of Market Rasen, was held at Middle Rasen Parish Church. Born at Hornsea, Marjorie was a farm worker, housewife and mum. Family mourners were: A Batty, P Bett, K Bett, Neil Bett (sons); D Hawke (daughter); K Bett, S Bett (daughters-in-law); S Bunn (son-in-law); Josh, Jacob, Millie, Nicholas, Matthew, Ben, Samuel, Mel, Phil, Alex, James, Jessica (grandchildren); Ann and Dave Toomer (close family friends). Friends at the service were: Alan Pennell (also rep Middle Rasen CC); Roland and Christine Smith (also rep Mr and Mrs J Burkes); Vanessa Havercroft; Jim Lang; Mr and Mrs Hack; Isabel Wilson; Alex Wilson; Joe Coulson (also rep the Coulson family); Mr and Mrs Joy; Sue Joy; Sandra Chambers; Caroline Trevor (also rep Tony Trevor); Susan Bryce (also rep The Laurels and also Carolyn Brader); Annie and Dave Toumer; Bob Davidson; Jack Pearce; Mandy Carrie; Mrs Stamp; Mr and Mrs Edwards; June Clark; Pat Fussey; June Staves (also rep Terry); Roger Cowling (also rep Mrs Cowling); Arthur and Nancy Robinson; Mr and Mrs F Sellars; M and C Stamp; B and C Ashley (also rep Susan, Jack and Jennifer); Neil Burton; C Thomas; Sheila Hodds; Kelly Hodds; J and I Green; J Ferriby; I Ferriby; Mrs S Roger. Arrangements were by J Marshall of Market Rasen.